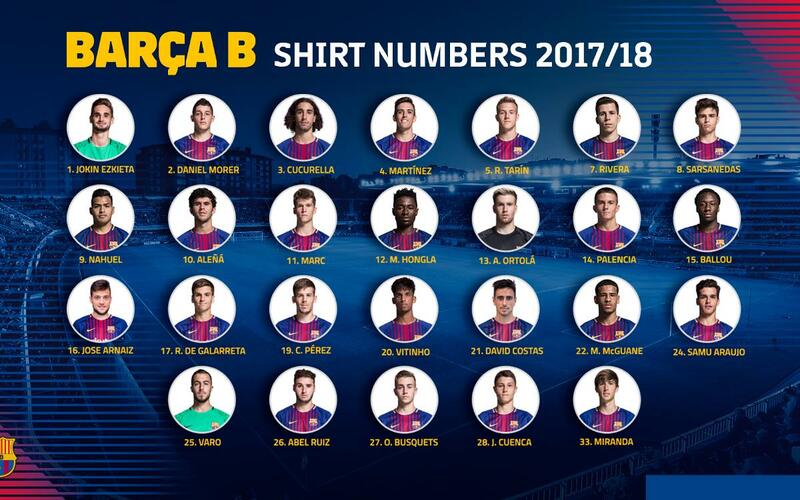 With the January transfer window now firmly closed and the comings and goings in Gerard López’s Barça B squad confirmed, we can now take a look at the shirt numbers for the team for the rest of the season. The changes see new signing Christian Rivera assume the number 7 shirt, Nahuel the number 9, Hongla take the 12 shirt, Ballou 15 and Marcus McGuane 22. Nahuel take over the 9 from the departed ‘Choco’ Lozano, 15 is free for Ballou thanks to the departure of Santi Bueno and 22 for McGuane is available with Moisés Delgado no longer at the Club. The rest of the B squad retain their squad numbers from the first half of the season.